Hope Hover had a superb drive today 10th January 2019 at Bangor Driving Test Centre. 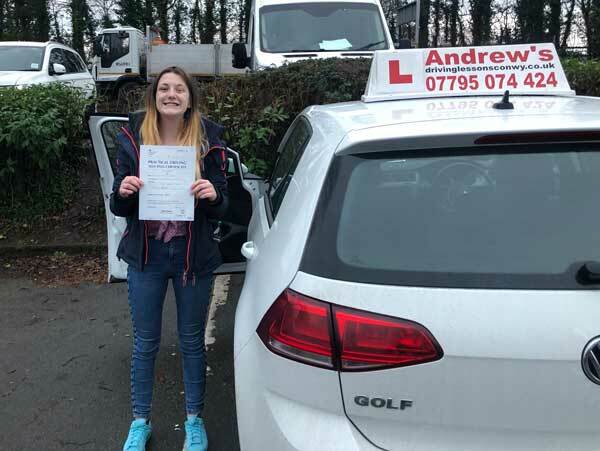 Hope from Colwyn Bay passed the driving test with just 4 minors after a course of driving lessons with Marcus. If you want to pass your driving test in Bangor give us a call.